UPDATE (8/31/2017: Mathewson Companies, Inc., completed a significant amount of the demolition phase of our parking lot project this past week. UPDATE (8-17-2017): Asbestos abatement is complete. And now, Mathewson Companies, Inc., will be mobilizing in the parking lot so that the demolition phase can begin! They will be on site beginning Monday, August 21st, securing the property. By mid-week the buildings will start to come down -- the ice shed, the long garage attached to the house at #44, and the house at #46. UPDATE (8-10-2017): Asbestos abatement got underway this week. Building demolition will begin later in the month. UPDATE (8-1-2017): Asbestos removal at the former River Center will begin the week of August 7 and will take about three days. Demolition of the building will begin before the end of August. 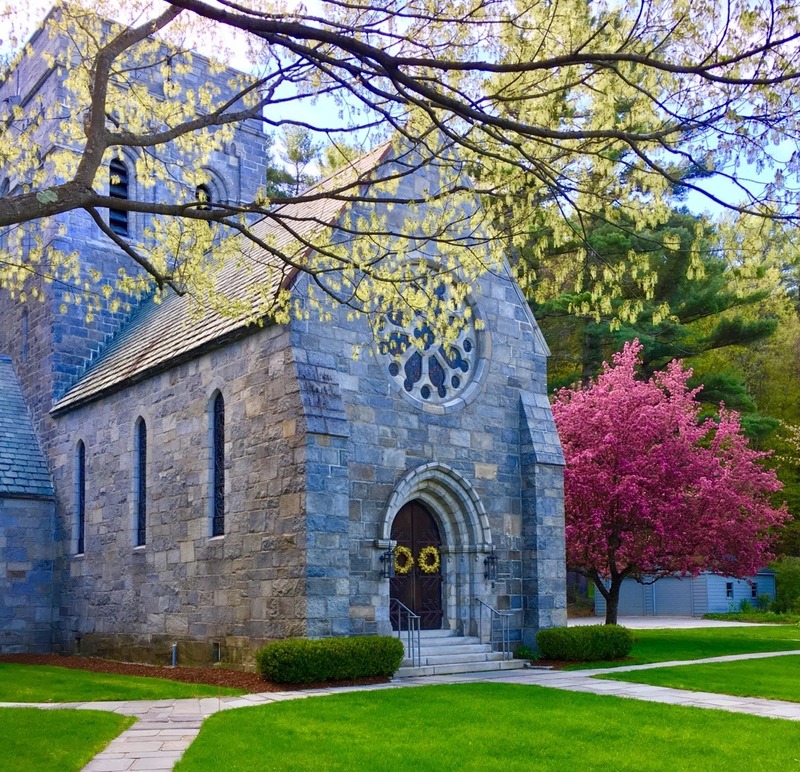 By mid-July, trucks will be rolling in to begin construction of a safe and welcoming parking lot for All Saints' Church (behind Reynolds Hall and the former River Center). Members of the Vestry and the Buildings and Grounds Committee have met several times with the Town of Peterborough's Planning Board and with the Department of Transportation to develop the approved architectural plans shown below. Additional information is available in the July-August 2017 edition of The Messenger.